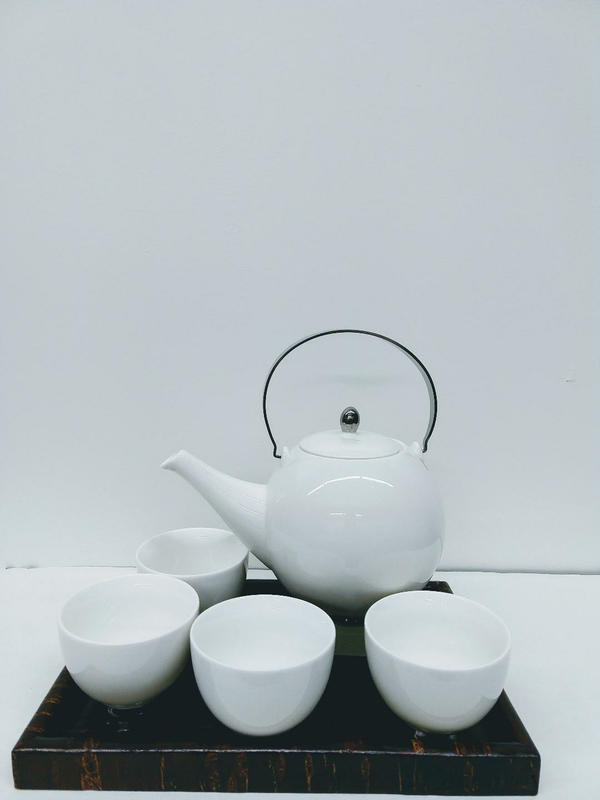 5 piece white tea set with spout strainer. Silvery metal handle and silvery knob and bases. Teapot length 7 1/2" and 8" tall including handle. 3" diameter cups. Cherry bark tray, 10 1/4" X 7", is sold separately for $48.50. See TRAYS in Wood Products.